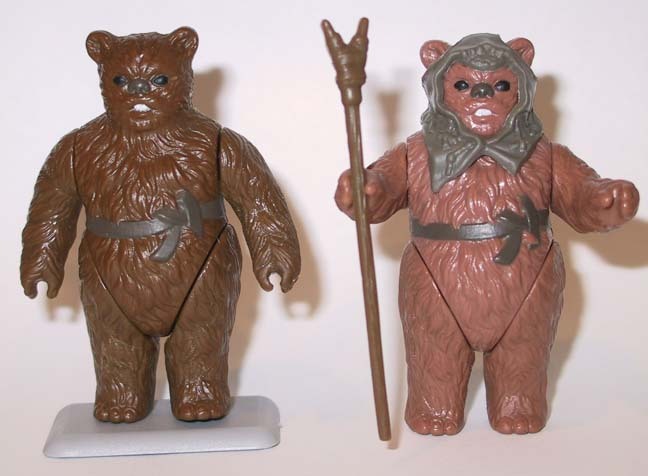 Here's a nice looking POTF figure prototype of the Ewok, Romba. Although the figure contains copyright information, it could still be considered a late test shot. Notice the extreme color differences found on the prototype shown on the left. The fur color is considerably darker and the belt color appears to deviate from that of the production toy, shown on the right.